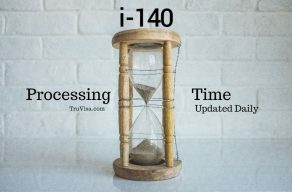 The i140 regular processing time data is collected daily from USCIS and other user driven online trackers and forums. The best case is the most recent approval that we found. If your receipt date is older than the worst case date given above, you should raise a service request with USCIS. 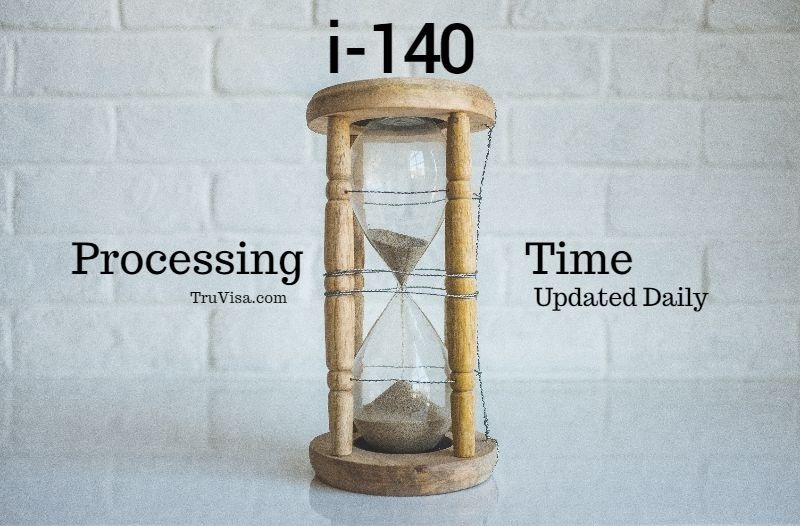 Premium processing is available for I-140 applications and their processing time is 15 calendar days. Change employer after i140 approved before 180 days? It is advisable to stay with your current employer for at-least 180 days after i140 approval. Read about i140 possible scenarios in detail. Employer not sharing i140 details? You can request your i140 details from USCIS using FOIA request. Find more i140 Questions and reliable answers on TruVisa.com. Its the same center. SRC and TSC are same centers. Thank you! what’s your estimate for receiving the results please? Is it sometimes next weeks? Why there is too much difference between my receipt number (SRC1890***** ) and the best case number for NIW TSC18228*****? It’s only 3 days difference between filling dates. It is possible that there were those many numbers of applications received between those two dates. Sorry, i do not give out individual estimates. If I do, i get multiples comments where people start asking for their case. It is not possible for me to reply to each case estimate as it takes too much time. Hi Anil, I’m in EB1C category and applied concurrent. My priority date is 20th Feb 2018 and my I140 is still pending. Already raised SR and received the standard reply. Can you plse advice when would my case will be approved? Please use the dates given above to estimate your case approval date. Hello, I have been waiting for my case’s approval. But I am wondering which category is right for me. I am a registered nurse and filed with Form 9089 and I-140. And also, I heard this green card is EB-3 category. So I used to check the estimated dates of “skilled worker(E31)”. However, today, I found “Schedule A nurses” and I think that’s right thing for me…? I googled it but still am confused. Which one can I check for my case? It depends on what is written on your form 9089. Has your employer shared it with you? Then, the category should be mentioned on it. I can see the question about “Schedule A occupation” is Yes. Then it means my category is Schedule A, right? Hi, My i-140 was filed in EB2 Category with Texas Service center on 10th Jan’2019. when should I expect a result for this case ? Hi..My EB1 was filed at Nebraska on 10 Jan 2019. Any idea on when can i expect i-140 approval? What EB1 subcategory is it? I am stopping giving estimates from today onwards. Please use the estimated dates above to get an idea about when you can expect your case approval. Hello, my EB1 was received at Nebraska Center on January 18. Any idea when to expect I-140 approval? I saw that process was stuck on Jun 2018 and now is in October. Thanks a lot. You can expect your EB1 i140 approval by May 2019 end. My Eb1A was received at Texas center on November 21st. When can I expect to hear from them? You can expect your i140 approval by May 2019 third week end. Filed EB2 NIW and was received 8/22/2019 at Texas Processing Center. Any idea when to expec I-140 approval? Assuming your receipt date is 22 Aug 2018, you can expect your i140 approval by June 2019 second week end. Best case approval dates seemed to have jumped by a few months overnight. Any insights into what caused this movement? Our service runs in background and it may have found new cases that would have been reported as approved. All the Raise SR dates have also moved a month to Oct 5, 2018. do you think its an error? Raise SR dates are controlled and shared by USCIS. They publish these dates monthly based on their own data analysis. We just show them here for easy access. USCIS has of course gone bonkers! Nebraska I-140 raise SR dates first jumped to 5-Oct overnight last week and now has retrogressed again to May etc. today. One more proof that the whole system is absolutely broken! My EB2-NIW I-140 has been received on October 11, 2018 at the Nebraska Service Center. When do you think I would hear back? After the modified USCIS dates, estimated processing time has changed for your case to get approval by June 2019 end. Thank you so much Anil. May I ask you why I would hear back in June now that the times are shorter (3.5 Months to 6 Months)? Sorry. My bad. I replied to wrong case. Your earlier estimation stays same. I mistook it for Texas service center.